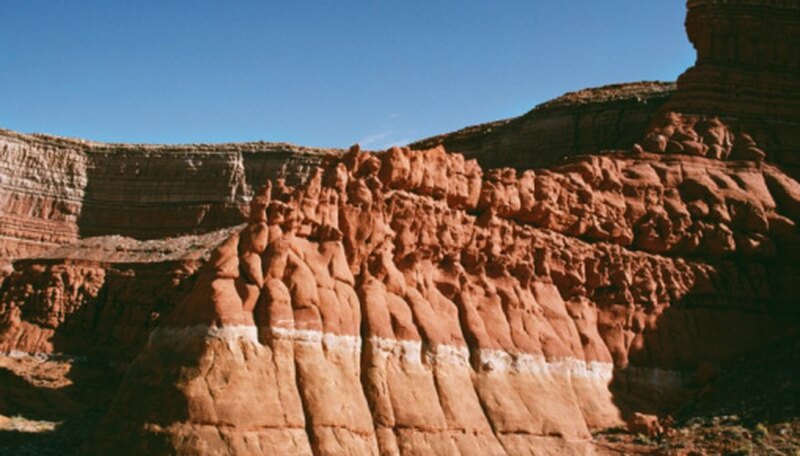 There are two types of sedimentary rocks: those that are precipitated chemically, such as limestone or chert; and those that are made up of mineral fragments that are lithified, or compacted, together. The latter are called detrital, or clastic, sedimentary rocks and are formed when mineral fragments settle out of water or air into layers. As more and more particles, or sediments, are deposited, the weight over time compresses the fragments together, solidifying them into rocks. The finest grains that settle out of water or air are typically clay-sized particles that accumulate in quiet environments, such as a lake or deep ocean, where there is low water turbulence. These are compressed together into shale and because of the nature of clay, form thin layers that can peel apart. The mineral sediments are so small that they cannot be easily identified with the naked eye and require significant magnification for study. 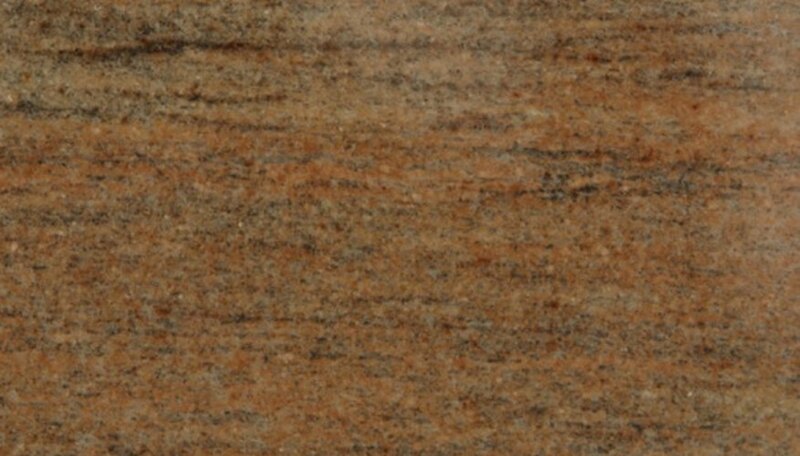 Siltstone is a fine-grained sedimentary rock with many of the same properties as shale. Indeed, they are formed in the same types of depositional environments. However, silt is composed of silt-sized particles, a fraction larger than clay minerals. Siltstone also lacks the layers that are created by the clay. Instead, siltstone typically breaks into chunks rather than layers. Combined, shale and siltstone make up over half of all sedimentary rocks. The mineral particles in sandstone tend to be relatively uniform, medium-grained sediments, the size of sand grains. They can be composed of any number of minerals but tend to be quartz, feldspar and micas. 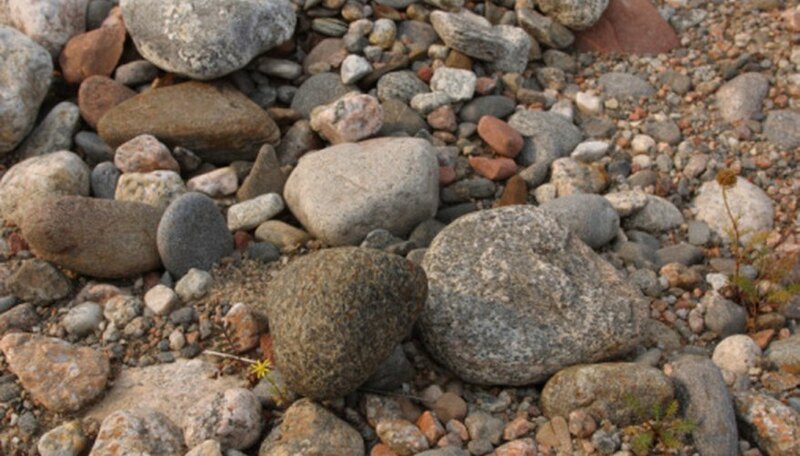 Sandstones make up about 20 percent of sedimentary rocks and can form in a variety of environments, which can be determined by how well-sorted the mineral fragments are. The individual grains can also provide clues to its environment of deposition; for instance, smoother edges indicate that they have been transported a significant distance by air or water, which rounds the sediments. These detrital sedimentary rocks are composed of a mix of particle sizes. 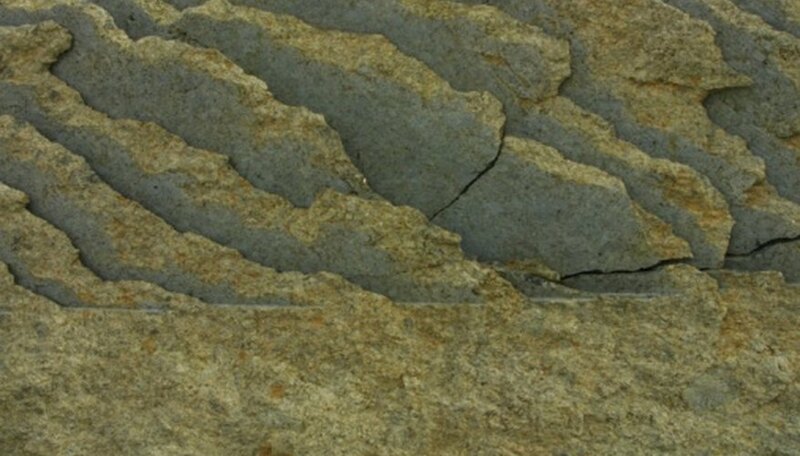 Fragments can range from bug-sized minerals to large boulders and typically have mud or sand filling in the spaces in between the larger sediments. The basic difference between conglomerates and breccias lies in the gravel itself. Both rocks are made from mixed gravels, but conglomerates tend to have more rounded edges whereas breccia sediments have angular, sharp edges. Both of these formations are indicative of deposition in a highly turbulent area or the presence of a steep slope. Laura Wormuth has been a professional writer for over five years and is currently the communications manager for Cambridge International. She holds a bachelor's degree in magazine journalism and a master's degree in earth sciences, both from Syracuse University. Wormuth, Laura. "Which Type of Sedimentary Rock Is Formed From Fragments of Minerals or Rocks?" Sciencing, https://sciencing.com/type-formed-fragments-minerals-rocks-8543360.html. 24 April 2017.